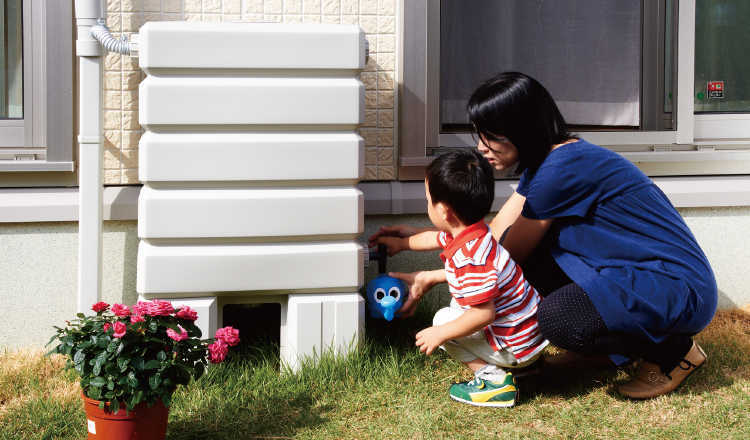 Plastic products are essential to creating comfortable and flexible living spaces in Japan’s hot and humid climate. C.I. 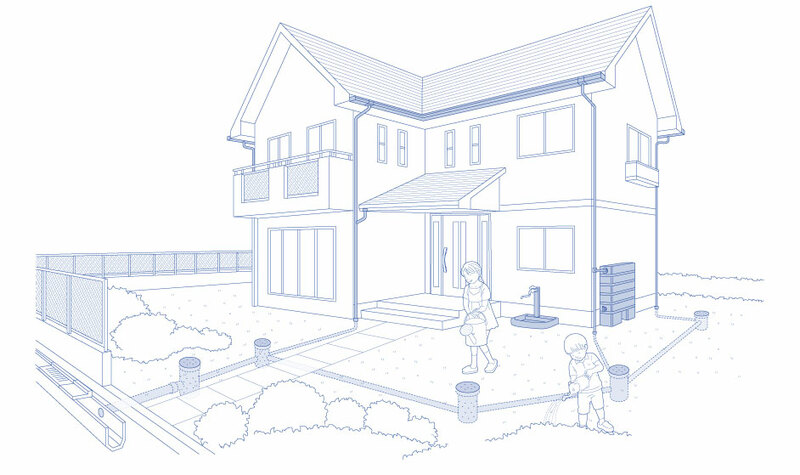 TAKIRON supports diverse living environmental needs and proposes a variety of solutions for both exterior and interior structures of buildings. We will conduct a wide range of activities to create an affluent society that co-exists with nature, leveraging our creativity in developing and manufacturing environmentally-friendly products. 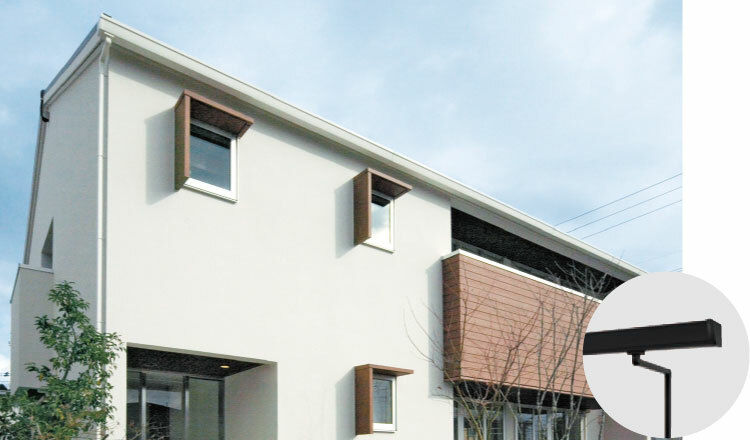 This innovative rain gutter dramatically increases draining capability. 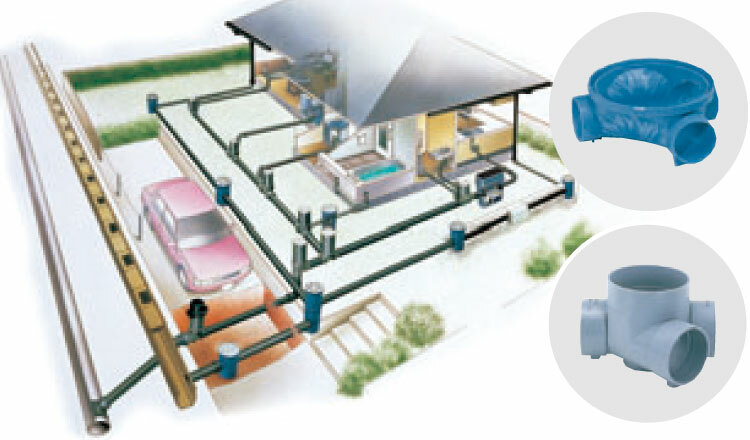 The number of downpipes can be reduced to half or less compared to conventional systems (our company products). Storage for rainwater collected from home gutter systems. It can be easily installed by attaching collection joints on existing gutter systems. 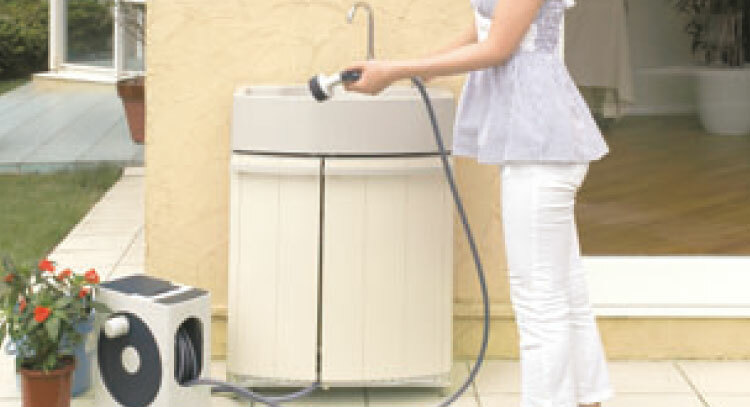 These products contribute to water conservation by making it possible to use rainwater. A sturdy texture similar to granite that matches any type of house. The sink can be embedded near the berm as well. 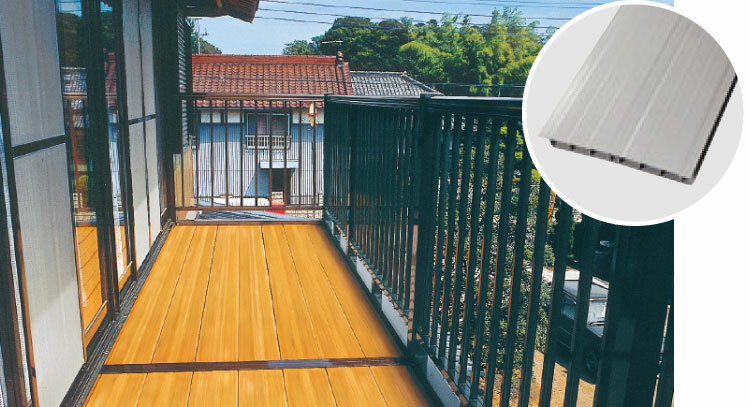 Deck materials that are durable, weather-resistant, and have anti-static effects. 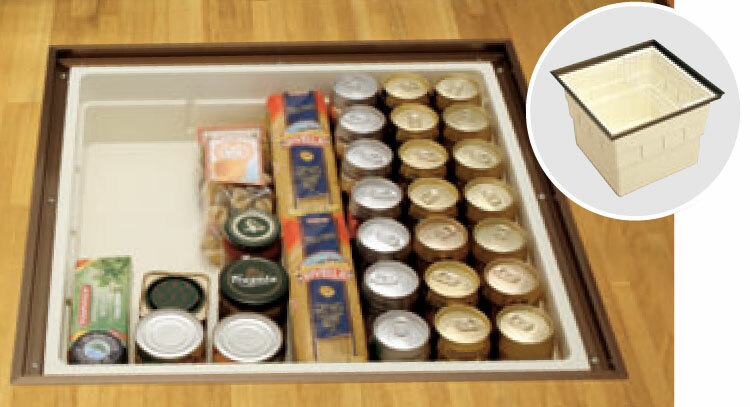 A durable underfloor container that has a user-friendly design and is easy to take care of. 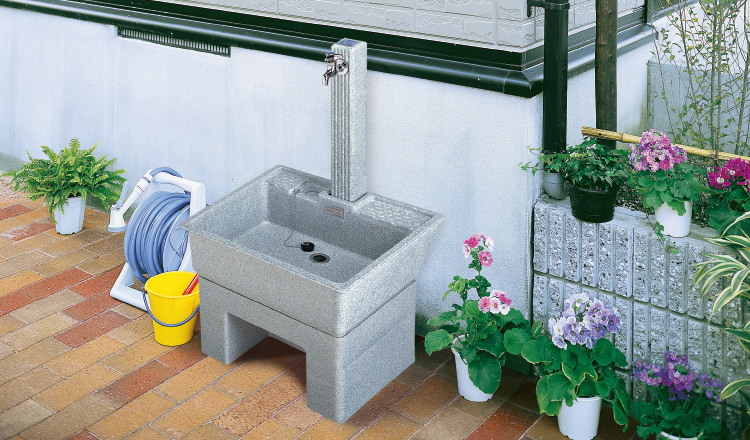 An outdoor sink with abundant storage space and that allows the user to work without crouching. 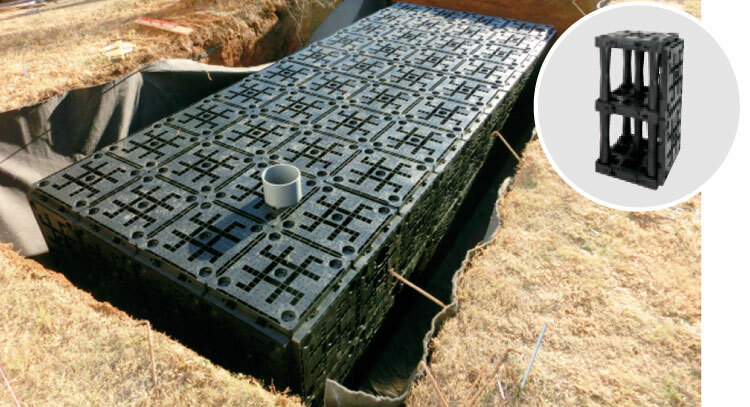 A lightweight housing drainage system that is very easy to install. 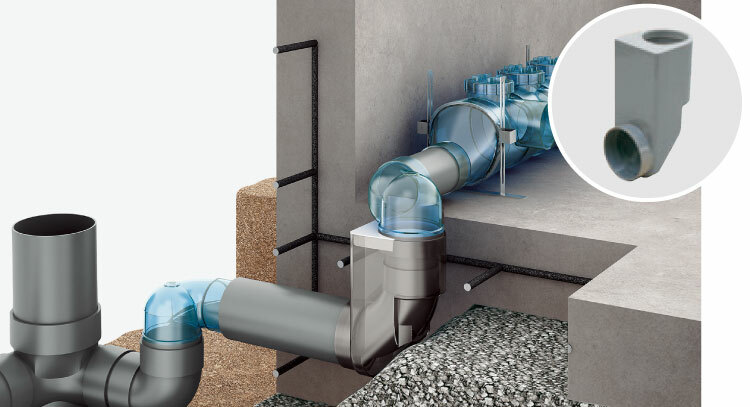 A compact and work-saving drainage system that suppresses sudden large flows of rainwater to rivers for systematic and efficient rainwater draining/infiltration. Removes waste and grease from drainage, contributing to water quality and environmental beautification. 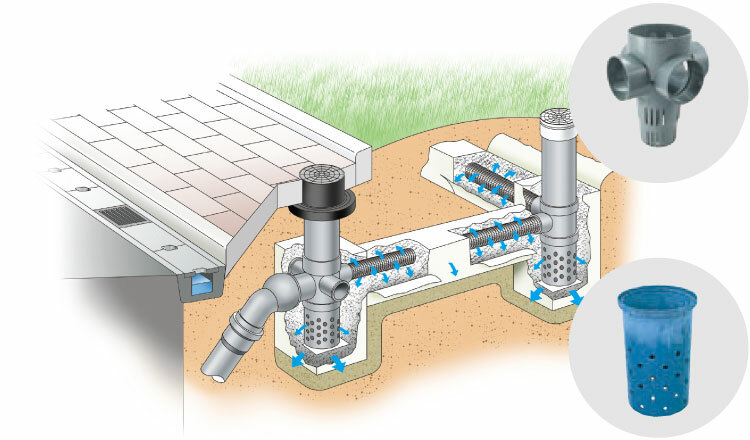 An interior underfloor drainage system that allows drainage pipes to be replaced even after the construction of the house. 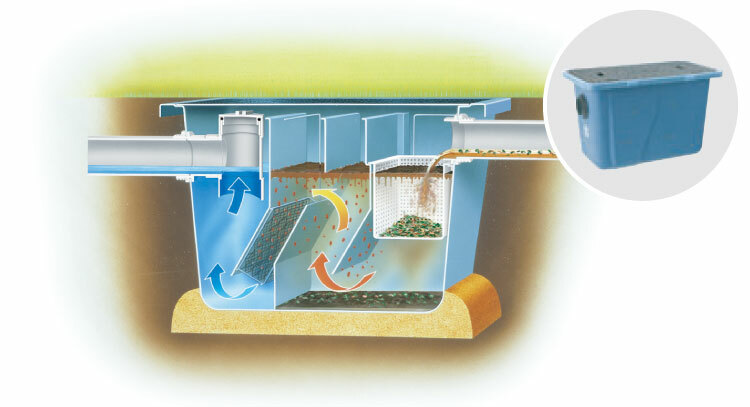 A compact rainwater storage and infiltration unit that can be installed in small spaces.